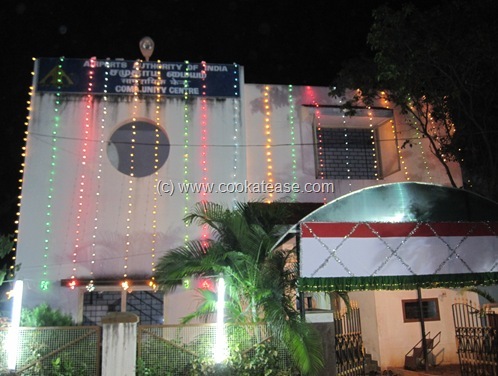 Preparations are going on to celebrate ‘Durga Pooja’ by the members of Madras Airport Durga Pooja Celebration Committee (Regd.no: 282/2010) from October 13 to 17 at the Community Hall, AAI (NAD) Residential Colony Meenambakkam, Chennai – 27. 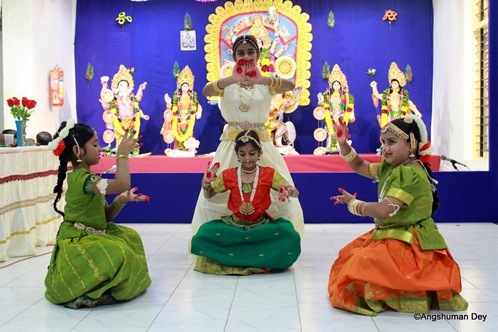 As part of celebrations, ‘Ananda Mela’ was held on October 12 from 6:30 pm. Delicious home made food was served through the food stalls set up by the families of the members. 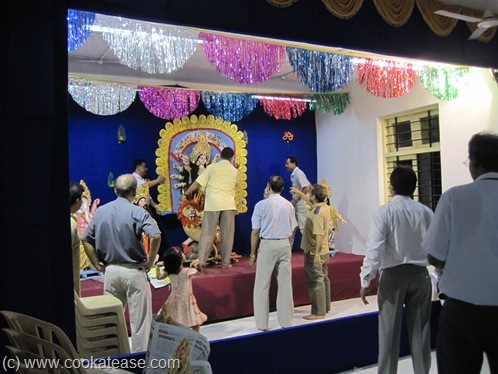 Here are some photographs of the preparations. 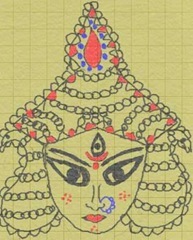 (Goddess Durga on the right was sketched by my daughter Sangeetha with stylus in her Nokia mobile phone). Here are some photographs of food served through the stalls. The members enjoying the food. 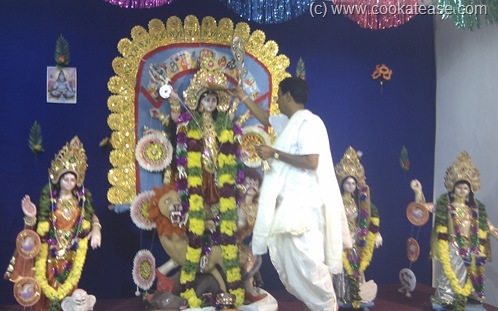 Durga Pooja festival was inaugurated today at 08:00 pm. Here are some photographs of the event. 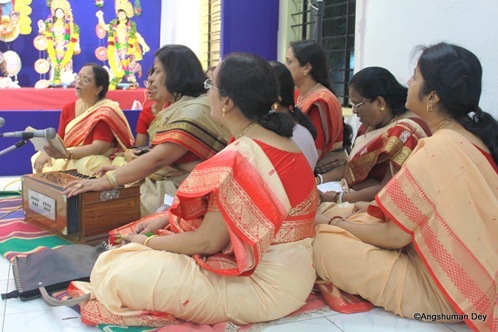 Devotional song by the members. 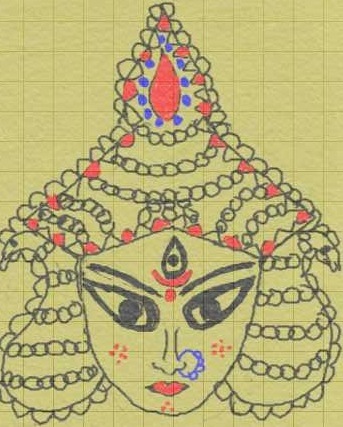 Aarti (Aradhana) by the priest. 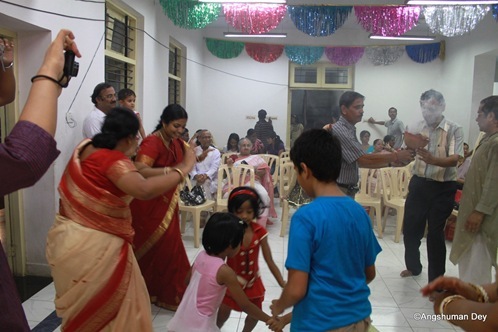 Wow wonderful celebration .. thanks for sharing this …its really reminding the childhood days and celebrations..